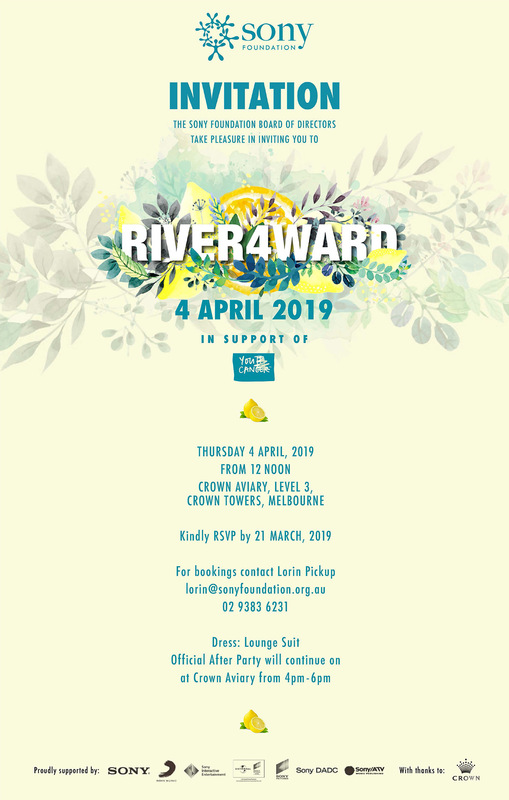 April 4, 2019 will see Sony Foundation celebrate its fifth annual River4Ward event. This year’s event will once again raise the bar in entertainment, luxury auction, dining, exciting event activations, youth cancer speakers and so much more as over 400 guests come together, in the beautiful new Crown Aviary, to raise funds for Sony Foundation’s You Can. This year, River4Ward will be seating tables of 12 guests.